Filling a gap in Berkshire’s market for a truly local luxury lifestyle title, The Windsor, Maidenhead & Ascot Magazine has quickly established itself as the pre-eminent publication in the area since its first issue hit local streets in 2013. Currently under the editorship of Alice Cairns – an Oxford graduate and the youngest editor in Sheengate Publishing’s history – the magazine continues to go from strength to strength, regularly attracting names like Tom Kerridge, Gina Miller, Jeffrey Archer and Heston Blumenthal for feature interviews, complemented by monthly columns on education, food, wine, property, travel, fashion trends, beauty products and golf. 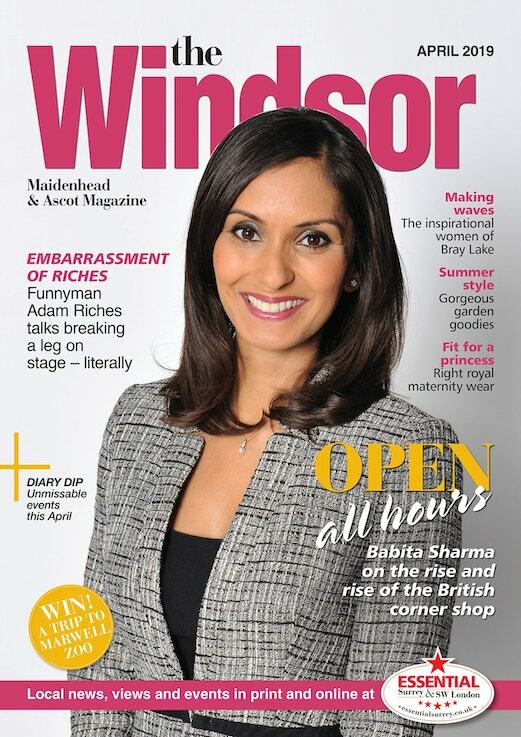 The Windsor, Maidenhead & Ascot Magazine is published 12 times a year and distributed free to 32,000 AB1 households and businesses in the Royal Borough of Windsor and Maidenhead. To advertise, get in touch with the sales team on 020 8939 5600 or sales@sheengate.co.uk. Distributing 32,000 copies to: Windsor SL4; Eton & Eton Wick SL4; Wraysbury TW19; Datchet SL3; Maidenhead SL6; Cookham SL6; Burnham SL1; Bray SL6; Holyport SL6; Woodsland Park SL6; Fifield SL4; Ascot SL5; Winkfield RG42; Warfield RG42; Sunninghill SL5; Sunningdale SL5; Virginia Water GU25; Wentworth Estate GU25; Windlesham GU20; Lyne & St Ann’s Hill KT19; Englefield Green TW20; and Egham TW18.